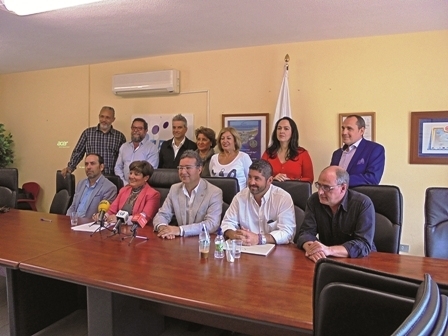 Members of the board of directors of CEST, the business owners’ circle based in the south of Tenerife, recently said farewell to president Ana Concepción Cáceres after her three years of dedicated work at the head of the organisation. In recent years, the CEST organisation has grown in size and stature, and both local councils and Santa Cruz authorities are now taking into account the organisation’s ideas and proposals. It is hoped this positive situation persists in order to continue with the improvements that are being made to the lives of residents and business owners in the south of the island. CEST’s deputy president Jordi Esplugas Ramos thanked Concepción for her huge contribution over the years, and on behalf of all the members present said they were sorry to see her leave. The election of a new president will take place at the CDTCA in Adeje on December 18 at 6pm. The second deputy president, Roberto Ucelay Jorge, will be drawing up his proposals for a new board of directors, and an action plan for continuing current projects, and for growth and development. Produced with news.CMS in 0,0640 seconds.